There is nothing quite so romantic as a gondola ride in the canals of Venice with one's love. 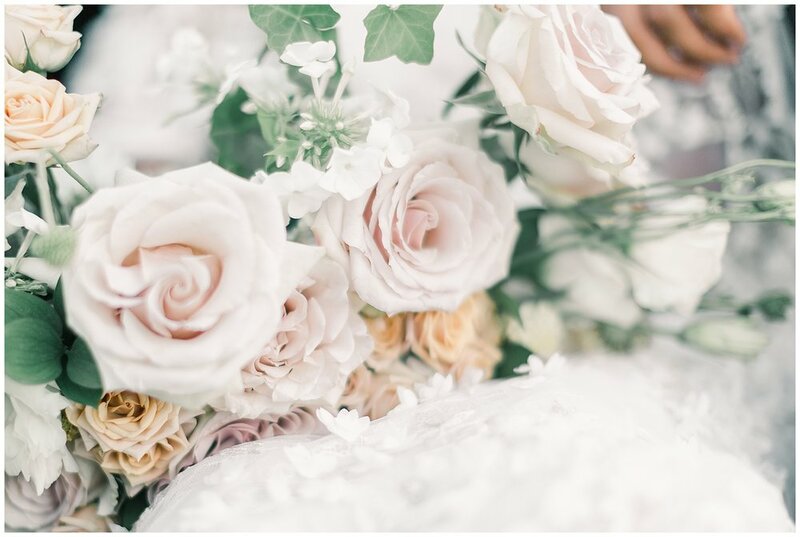 Combine those very things with the beauty of the Pacific Northwest and you have the most beautiful destination for an elopement. 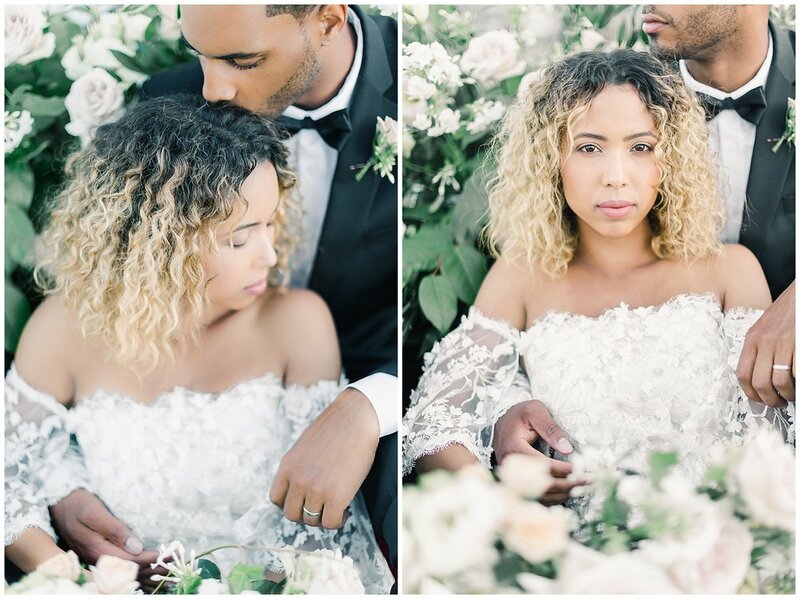 This absolutely gorgeous styled shoot planned by Flora and Whim. 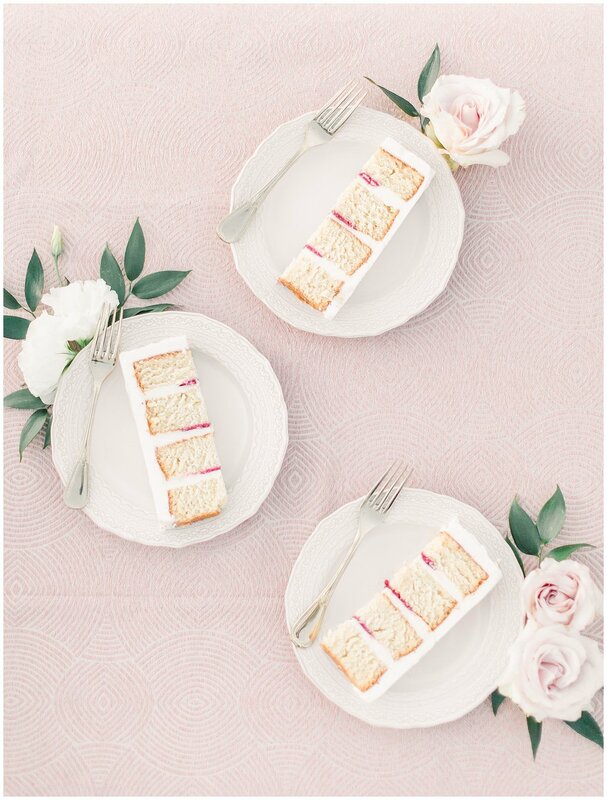 Cake & Lace Events provided the day-of-coordination for the shoot, ensuring each and every detail was perfect. 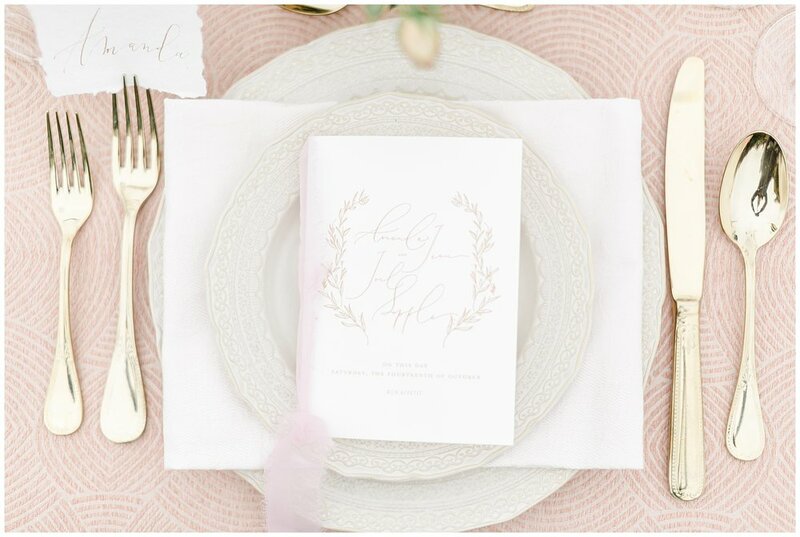 A dainty invitation suite by Blue Eye Brown Eye provided the perfect hint at the delicate design to come. 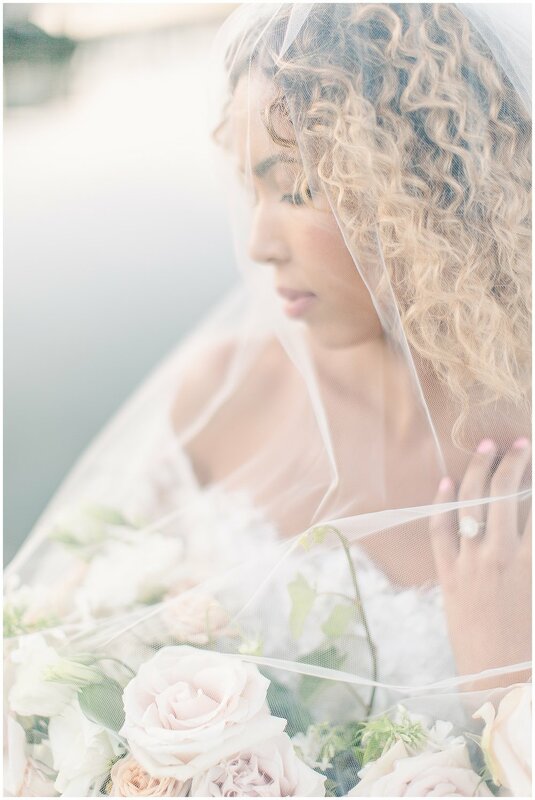 Gig Harbor Gondola made this shoot come to life and served as the lovely "ceremony site," while the incredible greenery from Flora and Whim added a romantic touch. 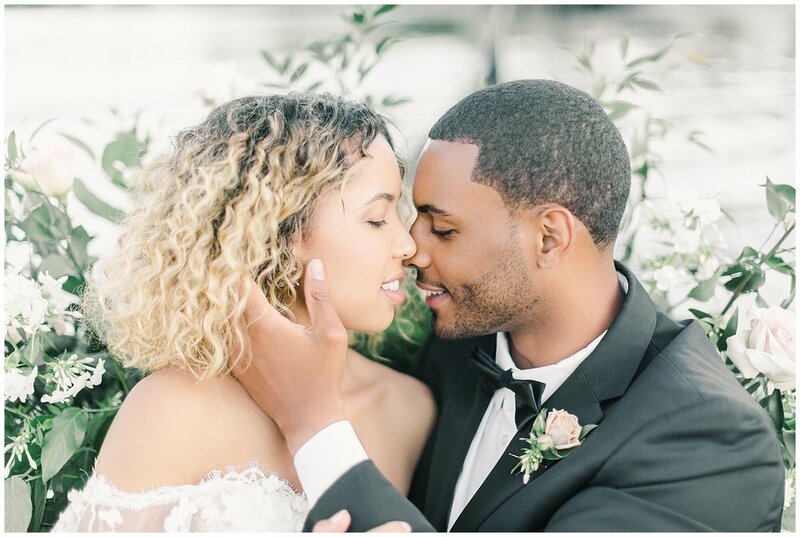 The bride looked absolutely amazing in a chic gown with floral detailing from Lovely Bride Seattle and a natural makeup look by Urbanista Weddings, while the groom was dapper in a sharp ensemble from The Black Tux.